VCU will be adding two more sections of luxury suites to match the previous two sections added for the 2014-15 season. The Richmond Times Dispatch’s Tim Pearrell is reporting VCU will add to additional corner luxury suites to the Siegel Center. Each corner section of the arena will now consist of two separate suites with a larger suite renting for $60,000 per year and a smaller option for $45,000. Construction on the suites began last week. 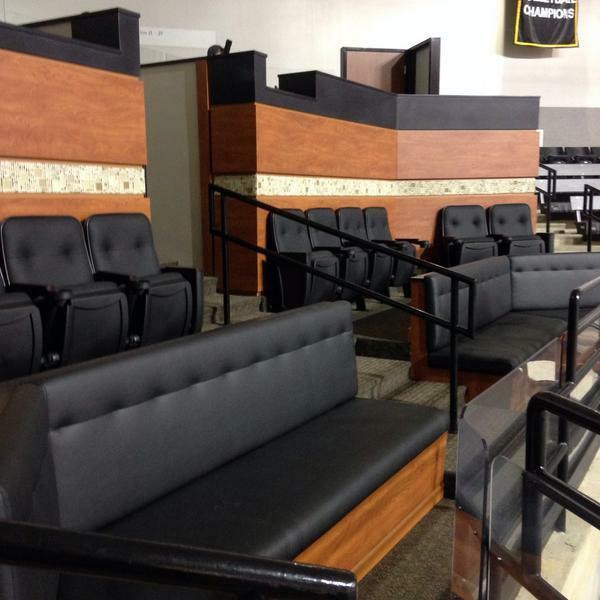 VCU introduced the first of such suites during the 2014-15 season. VCU School of the Arts (BFA '07) and Center for Sport Leadership (M.Ed. '10) alumnus, Mat has followed VCU basketball since the Sunbelt days when he'd attend games with his father. Worked as a graduate assistant in the VCU Sports Information Department for the '09-'10 season, but has covered VCU basketball for VCURamNation.com since 2007.